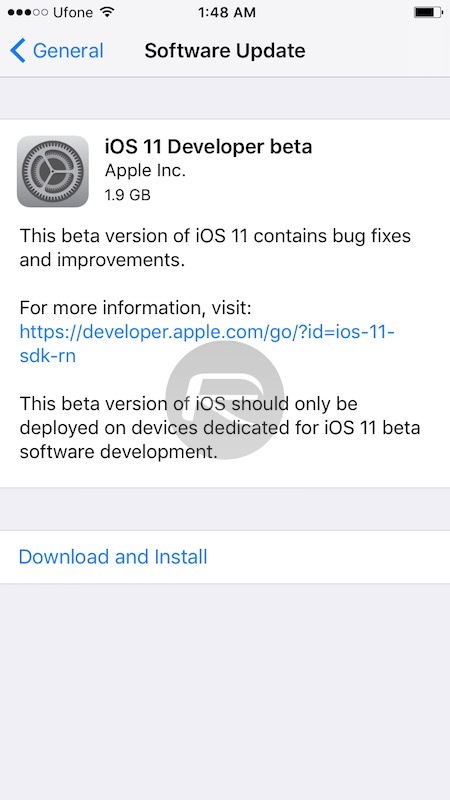 Here’s how to download and install iOS 11 beta 10 OTA update Configuration Profile file without registered UDID or developer account. 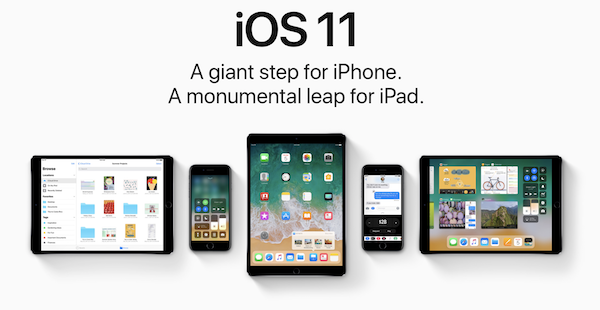 With Apple having revealed iOS 11 in all its glory at WWDC kickoff, and as is the custom, having released the beta for users enrolled into the Apple Developer Program, it is likely many are itching to get their hands on the latest iteration of the company’s mobile OS. Those who aren’t registered with the Apple Developer Program, however, will have to wait a little longer. As Apple has announced already, while developer beta 10 for both iOS 11 and macOS High Sierra are already out and about, their public variants will be released in a couple of days time. If, however, you just can’t have your iPhone, iPad or iPod touch stay out of date for a second longer, read on for a way you can get your hands on iOS 11 beta 10 without having to sign up for a developer account. And yes, you don’t have to have your UDID registered either! 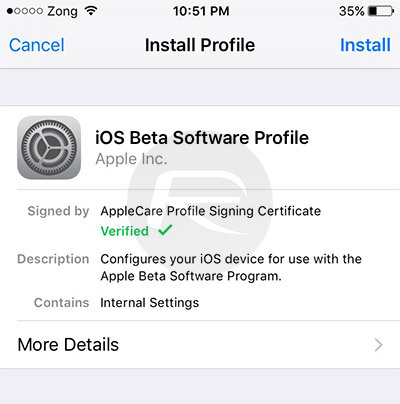 This method involves the installation of a verified Apple Configuration Profile that triggers an OTA update to the beta firmware. As is the wise thing to do before any and all beta build installations, backup your device to iCloud or iTunes before starting. I can’t stress this enough. Make sure you have secured your data in case something goes wrong or you decide to go for a fresh restore later on. Also, you might want to check if your device is compatible with iOS 11. Step 2: Download the profile to your device by tapping the download button. Step 5: Once your device is done rebooting, launch the Settings app, navigate to General > Software Update and you should find the “iOS 11 Developer beta OTA” update waiting for you there. Worked flawlessly on 10.5 iPad Pro. Thank you for this. Looks like isn`t working on 11 beta 1 > beta 2 update… a Error Message is appearing when Starting update process. Did someone managed to work ? Jerry, if you like jail breaking as I do, the one rule you should always follow is a clean installation of the iOS using iTunes, using OTA ( Over The Air ) installation only brings troubles, it don’t means that the jailbreak won’t work but it might not forcing you to restore to a different iOS which can’t be jail broken or it might work but cause problems later like rebooting out of nowhere, stuff like that which you probably already know what I mean. The reason for it is leftovers from the last iOS that was installed on your device and using OTA always leaves leftovers!!! That’s why the preferred method is DFU restoration into a separately downloaded iOS from Apple. Every jailbreak if you read the instructions will tell you not to use OTA before jail braking. No doubt this wont get posted but how come it’s a premium only download? Enjoy 3 months of your phone not working properly..
You’ve already started the process. It can’t be stopped without putting your phone in recovery mode and restoring or using a utility to pull it out of recovery if that’s still possible. Not sure with iOS 10+. This isn’t a watch update – just for the phone. I’m on the public betas and it’s pretty good right now. Occasional screen bugs like it should wake up in portrait but it wakes in landscape and has to rotate to look normal, but all in all it’s my daily phone and works just fine. Why wouldn’t you suggest ppl install the public beta 9 which is the EXACT same update, is available to everyone, and doesn’t piss off Apple? This article doesn’t make any sense.